Today was his 6 month check up, and he weights 17lbs, which is only the 36th% for his age. His doctor wasn’t worried though, and said that it was different from when he was little. * She said that I didn’t need to make him eat more, but gave me tips on little things I could do to help him poop more. Apparently 6 month olds are supposed to have one to THREE poops a day?!?!?! Not The Munchkin, that’s for sure. *For the first month of The Munchkin’s life, he either wasn’t on the chart at all, or was barely. 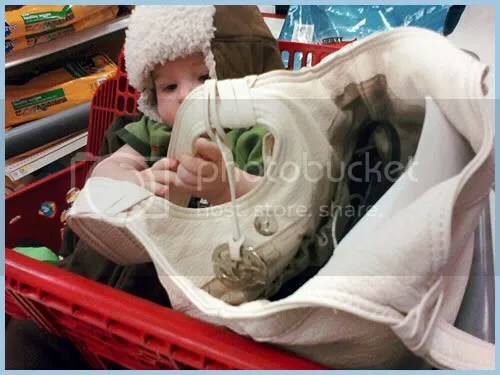 He would gain weight, and then lose it, and this is what (among other things) eventually made us switch from BFing to formula.